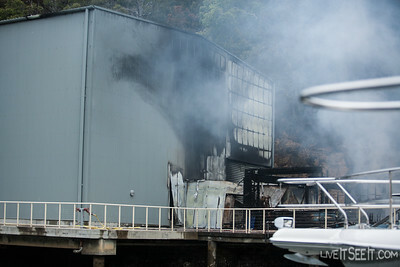 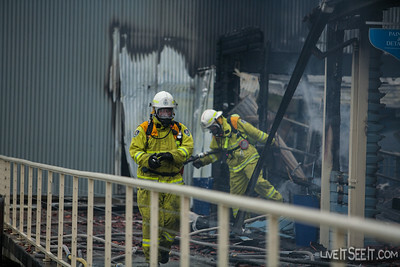 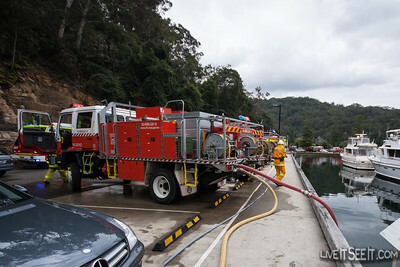 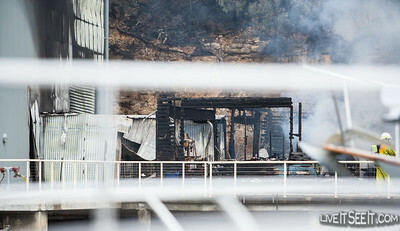 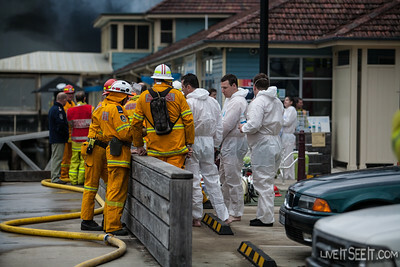 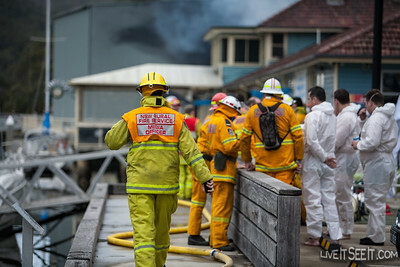 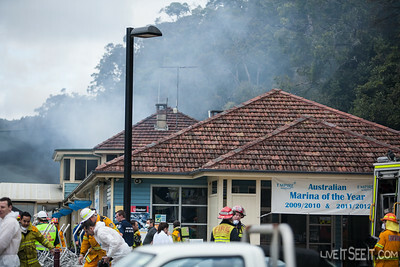 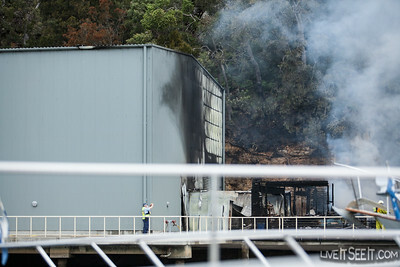 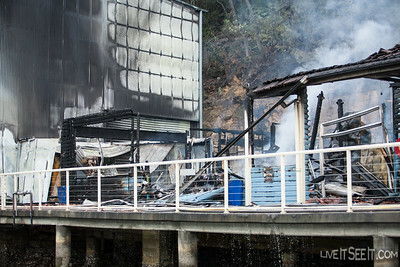 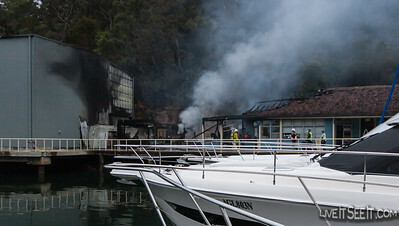 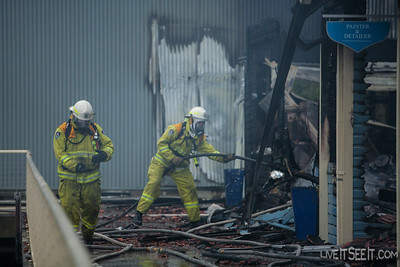 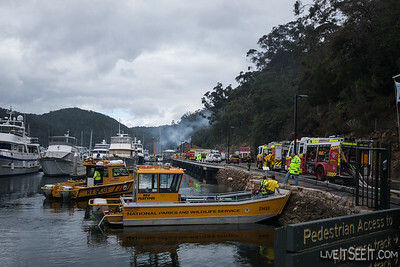 Vessels from National Parks, Marine Rescue and NSW Maritime assisted with the firefighting effort, and then secured the surrounding waterway. 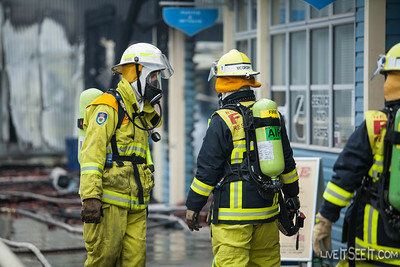 Due to the presence of asbestos, PPE was bagged for cleaning and temporary garments provided to firefighters for their journey home. 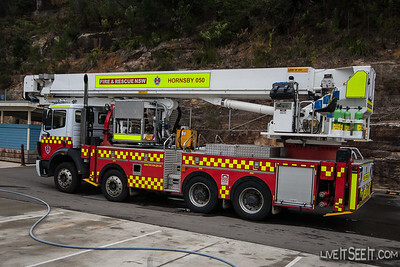 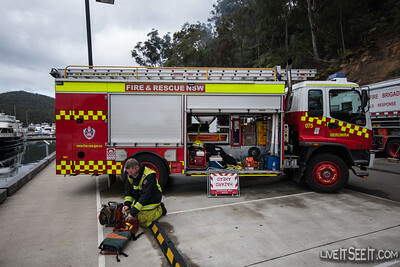 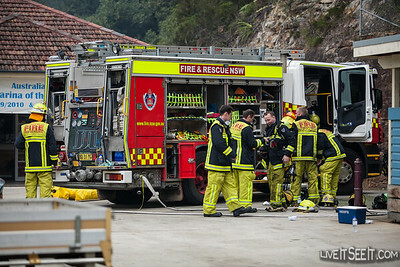 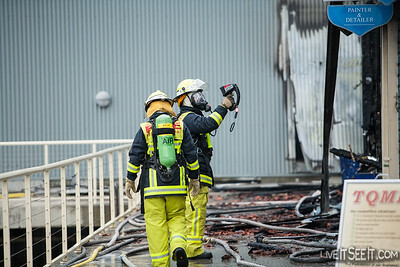 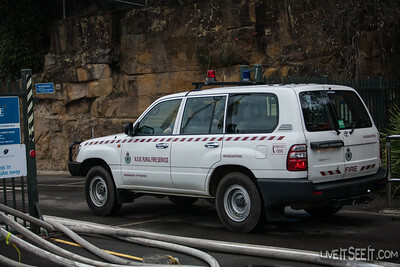 Bronto Aerial appliance from FRNSW Hornsby station, which was not put to work.